THE Race to the Mast is becoming a favoured fixture in the winter road calendar and on Sunday it produced a treble triumph for Horwich with Gareth Booth winning the race, Lindsey Brindle scooping the women’s prize and the men’s team of Booth with Dan Gilbert and Rob Jackson taking the first team prize. The previous day Booth was also one of six first places for the Harriers at a string of parkrun venues. Suzanne Budgett and Isabella Merritt were first females at Wythenshawe and Worsley Woods, respectively, while Alastair Murray (Cannock Chase), Robert Seddon (Bolton) and Nick Leigh (Ludlow) were the other first-placed Harriers. But it was second-placed Joe Mercer at Heaton who produced the fastest time of the weekend in 16mins 35secs and Mary White had the best age-graded result with 85.63 per cent at Haigh Woodland. 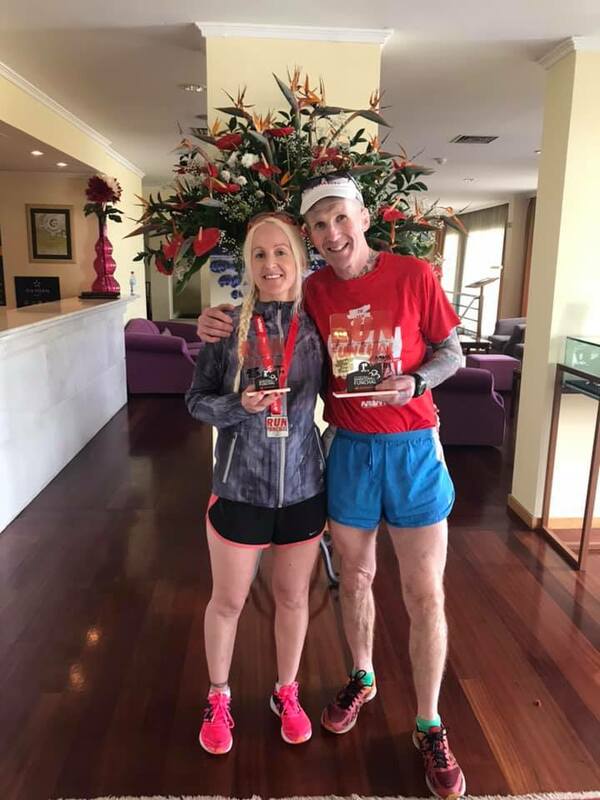 Meanwhile, the Lowe-McMylers were running the Funchal half and full marathons on the beautiful Portuguese island of Madeira and with some success as Sean won his M55 age category in the marathon with a great time of 3:15:00. Maria was third lady overall in the half marathon. It turned out not to be as flat as expected and the heat and humidity was a challenge but the pair took it in their stride to fly the Harriers’ colours on the international scene. 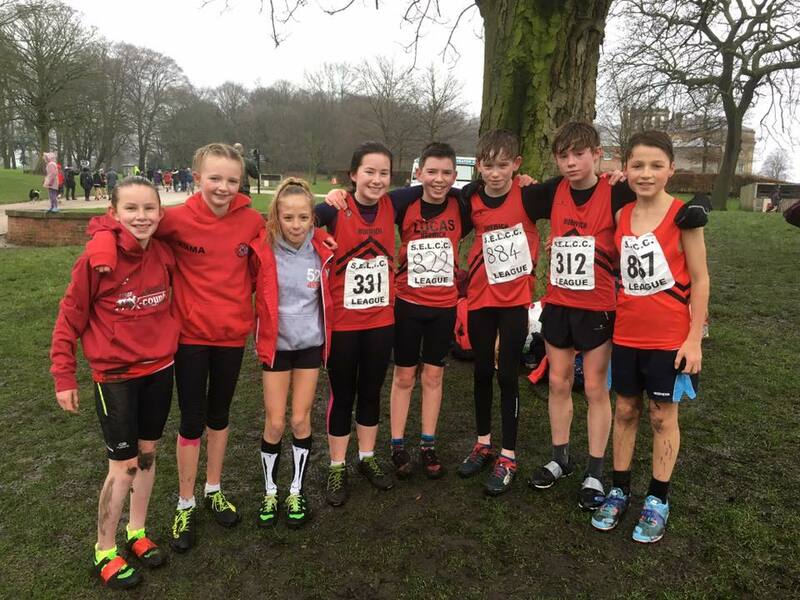 It was a different sort of climate at Heaton Park on Saturday for the latest round of the South East Lancs Cross Country League where the weather was wet and with a nasty wind chill, but there was still success for juniors and vets. 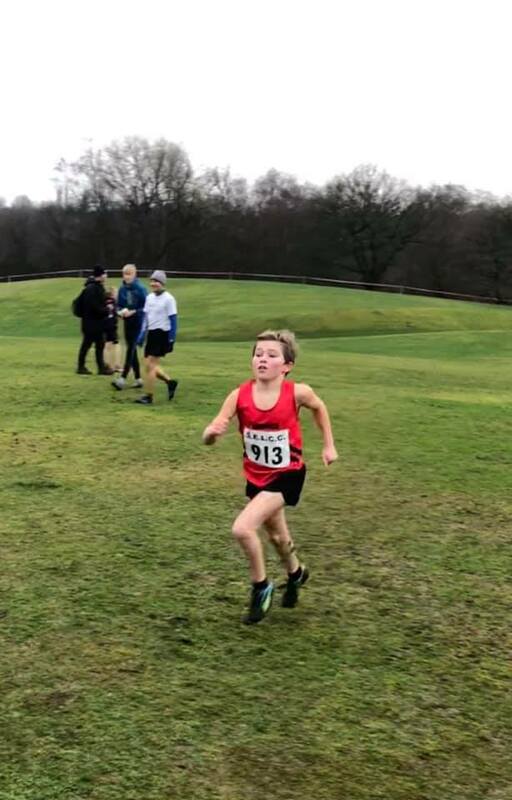 Harrison Stokes was second in the under-11 boys’ race and with Sam Bradley and Ben Topham took second place in the team competition behind Chorley – a recurring theme for the afternoon as the u13 boys’ and girls’ teams were also second behind the same club. Ethan Isaacs and Charlotte Wilkinson were the highest placed of the Harriers’ u13s, each achieving a fourth place. At u15, Lucy Dixon was the lone Harrier female and won that race by more than a minute. Lucas Milliken was third for the boys. In the series, the u15 boys’ team of Milliken, Matthew Mair and Isaac Battye are first with one more race to go. The u13 boys and girls are both in second place behind Chorley, so there is all to run for at the final fixture on Chorley’s home patch at Yarrow Valley in mid-February. Meanwhile, the V60 men are leading the series team competition ahead of Manchester YMCA. On Saturday, Steve Williams was first V60 and Tony Hesketh was first V70 and are individual series leaders in those categories, too. Gareth Webb was the third team member sandwiched between Williams and Hesketh in the race. 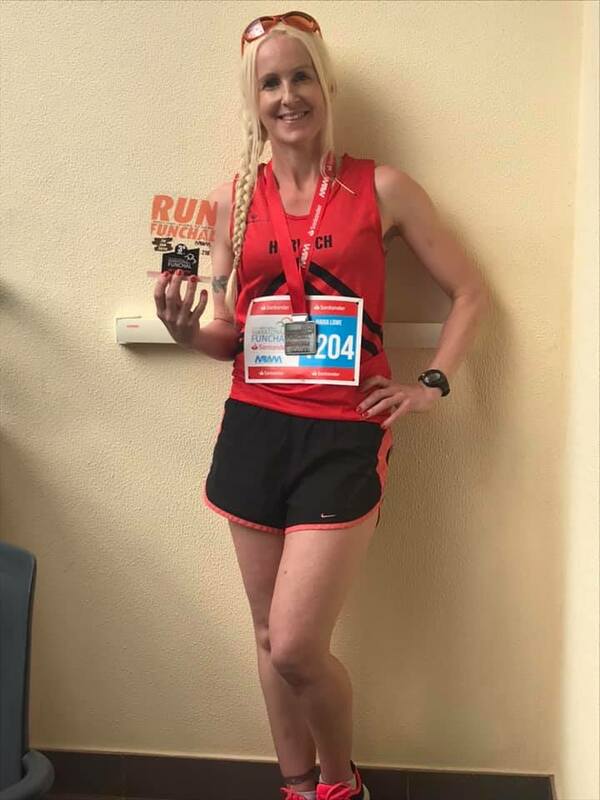 Janet Rashleigh continues to dominate the L55 category in the cross-country leagues and her eighth place at Heaton Park gave her first place in the age category. 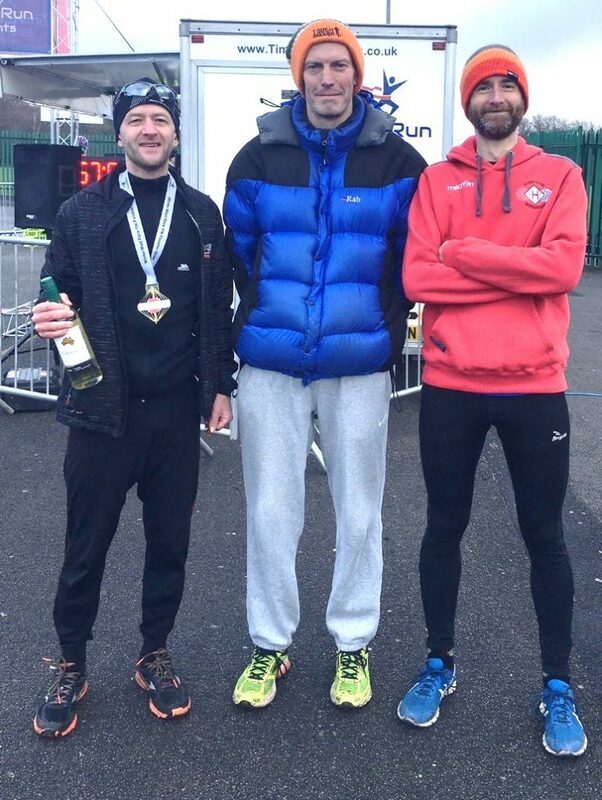 On the fells in the Kendal Winter League at Whitestones, the second and fourth M60 category finishes for Graham Schofield and David Barnes meant they maintained their top three positions in the age-category series. Horwich RMI Harriers results: South East Lancs cross country (Heaton Park) – ladies – 8th Janet Rashleigh 32:41; men – 67th Steve Williams 45:09, 105th Gareth Webb 49:08, 112th Tony Hesketh 49:46, 128th Lawrence Pinnell 51:56; Mast 10k race (Winter Hill) – 1st Gareth Booth 39:29, 5th Dan Gilbert 42:37, 8th Lindsey Brindle 42:58, 9th Rob Jackson 43:21; Whitestones fell race (near Newby Bridge) – 59th Graham Schofield 37:41, 100th David Barnes 41:30.